Guiding Team at Bolton Priory seeks new recruits! 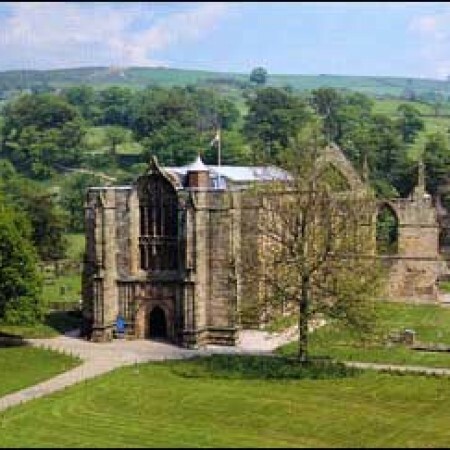 A visit to the Priory Church at Bolton Abbey is an essential component for tens of thousands of people who are enjoying a day out on the Bolton Abbey Estate. Between Easter and October the Priory has a well-established team to welcome visitors. Working in pairs, the welcomers offer a friendly face and an opportunity to chat about some of the church’s many interesting features. Anyone with a few hours a week to spare might like to consider joining the team. No faith commitment is expected, simply an interest in living history and a willingness to be open to the many faiths and cultures represented by those who visit. Experience is not necessary as training will be offered, and all new recruits will be paired with an experienced guide. It’s an unpaid position, but you do get to park for free down by the Priory! Anyone interested should contact the Rector, Canon Simon Cowling, via the Parish Office.